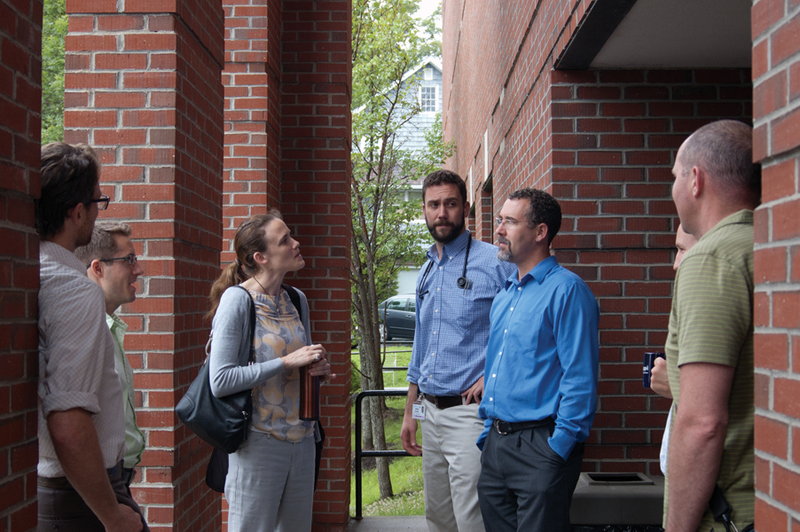 The Family Medicine Institute (FMI) at 15 E. Chestnut Street in Augusta is a long established practice serving about 7,500 patients with approximately 30,000 outpatient visits per year. Sixty percent of MDFMR’s family medicine residents are based at this site, and if they elect to do so, geriatric medicine fellows may maintain a small family medicine continuity outpatient panel at the FMI. A psychologist and a clinical social worker are also embedded in the practice and accept referrals from all teams. The facility has a teaching area/library and an area for patient education, as well as a large conference room that connects us to our hospital and other facilities by interactive TV systems. The FMI has extended office hours to accommodate patients who are reluctant to lose time from work, as well as to encourage primary care utilization for acute, non-urgent illness or injury. The general hours of operation are Monday-Thursday 8AM to 8PM, Friday 8AM to 5PM, and Saturday 8:30AM to noon. An advanced access scheduling system allows patients to be seen within 48 hours of their request.